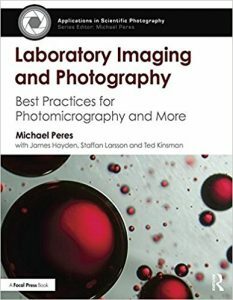 Michael Peres is the editor-in-chief of The Focal Encyclopedia of Photography, 4th Edition, and former chair of the biomedical photographic communications department at the Rochester Institute of Technology. Since 1986, he has taught photomicrography, biomedical photography and other applications of photography used in science. Prior to joining the RIT faculty, Peres worked at Henry Ford Hospital and the Charleston Division of West Virginia University as a medical photographer. He is the recipient of the RIT Eisenhart Outstanding Teaching Award and the Schmidt Medal for Lifetime Achievement in the Field of Biocommunications.